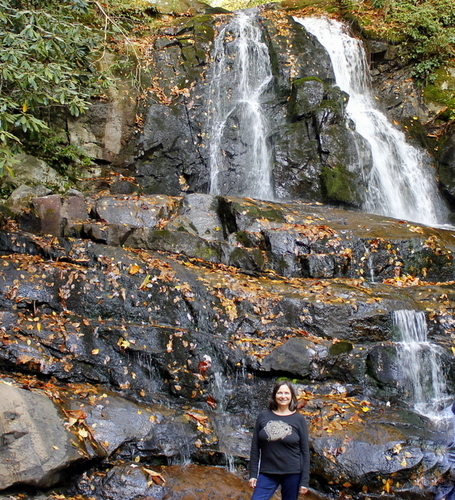 Laurel Falls is one of the most popular trail-heads inside the Great Smoky Mountains. This 80 foot waterfall got its name from the star-shaped Mountain Laurel plant that blooms in May. It is built in two tiers divided into an upper and lower section with a walkway crossing the stream at the upper falls base. Built in 1932, the water was used to provide fire crews with access to Cove Mountain in case of a forest fire. By the 1960's the trail had become so beaten down by tourists that erosion was beginning to build up. By 1963, the problem had gotten so bad that this path had to be paved. As you draw near you hear roars of tumbling waters. Just beyond these cascading waters is the Old Growth Forest. This forest hasn't been logged as most forests have. The reason most likely being because of the difficulty of transporting materials. If you continue walking 2.7 miles, you'll come across the old fire tower which is also a popular historical landmark in the area. This tower is one of only three remaining in the national park, (not including the fire tower of Mount Cammerer.) The fire tower is an interesting place to visit, but don't try to climb - it's not safe! PETS AND BICYCLES ARE NOT ALLOWED ON THIS TRAIL! This 3.2 mile hike round trip is very popular among families with young children. However, it's a good idea to keep a close eye out as this area has several dangerous drop-offs. It's a great place to take photos, and enjoy the scenic views of the mountains. This hike will take you around 314 feet in elevation. 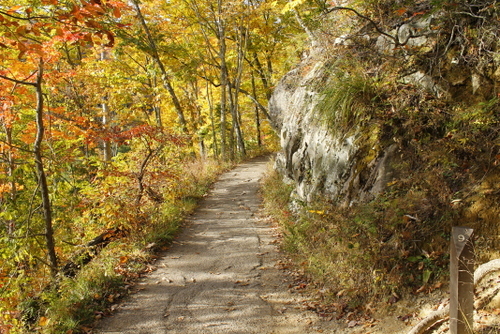 Because of crowding, the best time to plan a hike is early in the morning, in the early evening, or through the week. The black bear is active in this area, so it's always a good idea to stay on the look-out and be prepared. 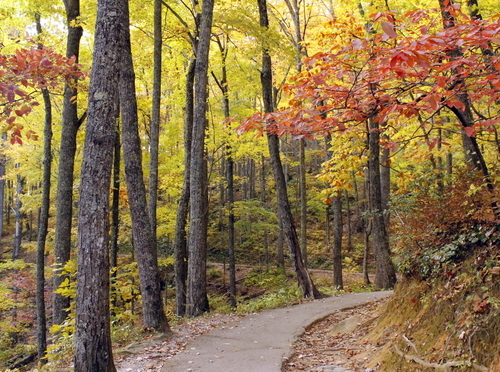 Go past the Sugarlands Visitor Center just outside Gatlinburg, drive 3.8 miles until you come to Fighting Creek Gap. Parking is on the right. There is additional parking across the street. From the Townsend "Y" intersection near Cades Cove, the Trailhead is 13.7 miles away.